CHARLESTON, S.C. -- The family of a man shot to death by a North Charleston police officer now charged with murder has filed legal papers asking a judge to approve a $6.5 million wrongful-death settlement. The request also provides a breakdown for the first time of how the settlement will be given out. There is no indication when a judge might consider the request. The settlement gives annuities totaling $1 million to three of Walter Scott's four children, according to court papers obtained by The Post and Courier of Charleston. Scott's estate will get $3 million, while three law firms who helped represent his family will divide about $2.4 million. About $17,000 will pay Scott's back child support. The money Scott owed is the reason his family said he ran away from a traffic stop on April 4 in North Charleston. Officer Michael Slager chased Scott, who was not armed, and the two wrestled on the ground before Scott stood back up and ran, authorities said. He was shot in the back moments later, investigators said. A video that was taken by a bystander, showing Slager shooting Scott eight times, caused a national uproar and prompted an immediate murder charge against Slager, who remains in jail awaiting trial. North Charleston will pay $5.5 million of the settlement, originally announced in October. The state Insurance Reserve Fund, which insures many governments in the state, will pay the maximum it is allowed under law of $1 million. City attorney Brady Hair said the settlement is fair, and the cooperation between North Charleston and Scott's family deserves credit for keeping the city calm after the shooting. "If you compare what happened in other cities, such as Baltimore, Ferguson (Missouri) and now Chicago, there is no doubt that the manner the Scott case was handled was a victory for the city of North Charleston, the Scott family and the state of South Carolina," Hair said. "No brick was thrown, no building was burned and no violence occurred in the city after this event." Lawyers for Scott's family also praised the city for its quick work to resolve what could have been a pain-filled lawsuit. 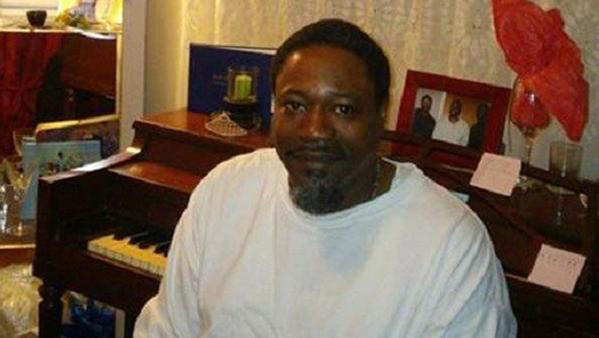 "Our family is pleased that we have resolved the civil portion of Walter's death with the City of North Charleston," said Walter Scott's brother, Anthony, when the settlement was reached in October. "While nothing can replace having Walter in our lives, the City of North Charleston historic actions ensure that he did not die in vain." "This settlement is a step in the right direction for the family, the city, the Lowcountry, and our state," Mayor Keith Summey said. "This will allow us to move forward and focus on the issues our citizens have elected us to do, advance quality of life and make the future brighter for the citizens of North Charleston."